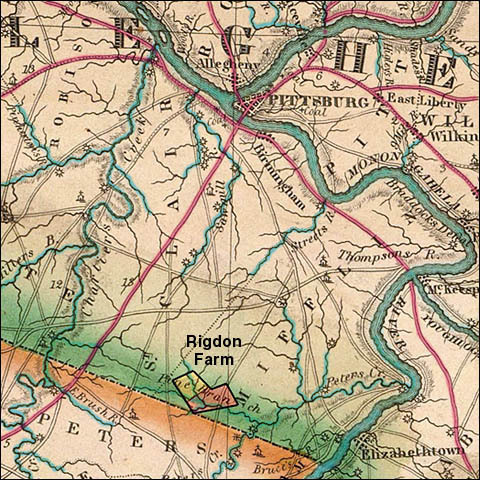 On May 31, 1817 Sidney Rigdon was baptized into the congregation of the Peters Creek Baptist Church, in what is now the village of Library, Allegheny County, Pennsylvania. 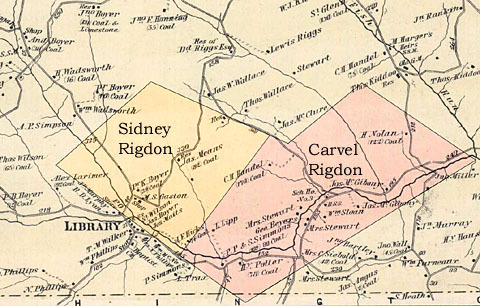 A little more than seven years thereafter, on Nov. 15, 1824, Sidney Rigdon (by then "Elder Rigdon," Pastor of the First Baptist Church of Pittsburgh) was effectively excluded from the Regular Baptist Associations of Western Pennsylvania. 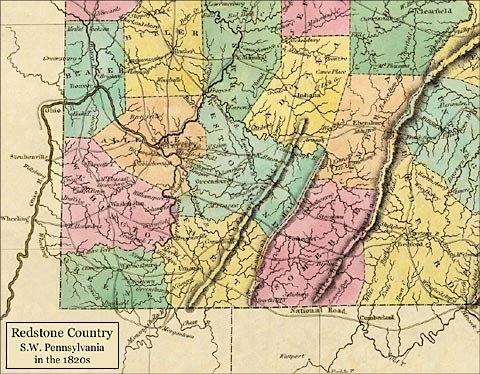 For a short time, be joined his small remnant of radical followers with the Sandemanian Pittsburgh congregation headed by Elder Walter Scott, but by the end of 1825 Rigdon had deserted Pennsylvania for the greener pastures of the more liberal Baptist communities of eastern Ohio. 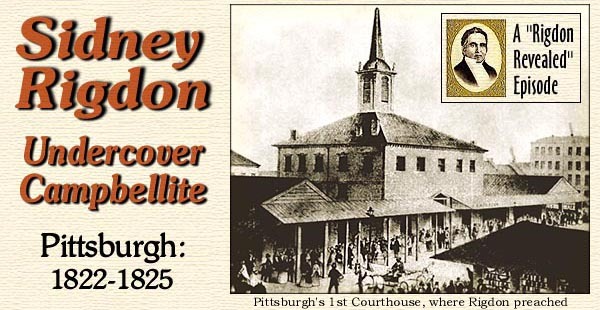 Here then, is the story of the rise and fall of Elder Sidney Rigdon, the "Undercover Campbellite" in the city of Pittsburgh, during the early 1820s. Sidney Rigdon exemplifies how far-ranging a Baptistic orientation can extend. In 1817 Rigdon joined a Regular Baptist church in Ohio and for two years lived with Adamson Bentley, a Baptist minister at Warren, Ohio. Bentley mentored Rigdon and the latter was ordained there in 1821. That same year Rigdon was called to be the pastor at First Baptist, Pittsburgh, Pennsylvania, where he served for three years. Within a short time he developed an interest in the primitive New Testament churches and began to influence the congregation to move to a simpler order of worship. The church did not accept Rigdon's ideas on the ancient order and he resigned in 1824 to follow closely the teachings of Alexander Campbell, whom he had come to know in the region. He returned to Ohio and served Campbellite churches at Mantua and Mentor before breaking with Campbell. Rigdon by then had developed his own ecclesiology that entailed a communal society and a belief in a literal reign of Christ on earth, neither one of which was compatible with Campbell's beliefs. 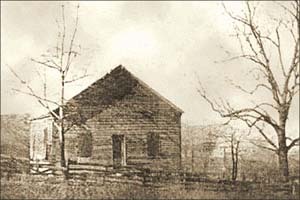 In 1826 he accepted the call of an independent church at Kirtland, Ohio, and there he met Joseph Smith of the newly organized Church of Jesus Christ of Latter Day Saints. Rigdon supported Smith's interpretations and affirmed the supernatiral origins of the Book of Mormon. He invited Smith to move to Ohio where the two became leaders in the evolution of the Latter Day Saints. As far as Rigdon's Baptist background is concerned, he is mentioned only tangentially in Pittsburgh Baptist history. 360 acre William Rigdon farm on Piney Fork, in the S. W. corner of Mifflin twp.